The Holy Trinity monastery, also known as the Patriarch’s monastery, lies about 10km away from the ancient town and ex-Bulgarian capital, Veliko Turnovo. The monastery has been built high above the town in an extraordinarily beautiful area, huddling at the foot of a vertical rocky massif. The first sanctuary in the vicinity dates back to 1070. 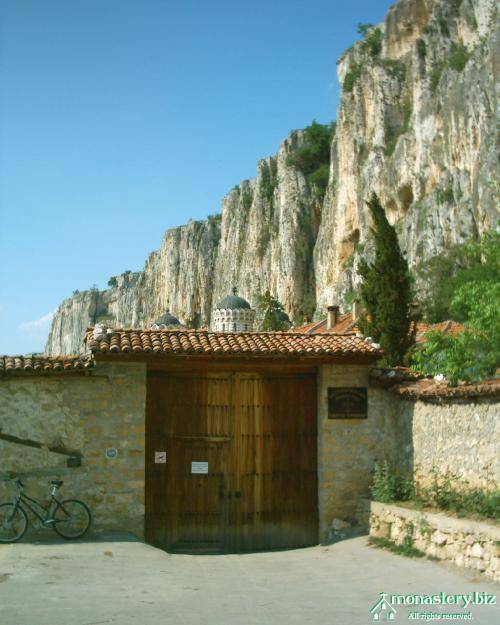 Later on, in 1368 a hermit, Teodosii of Turnovo, moved to a small cave formed in the rocky massif above the present-day monastery. As other monks started arriving here to seek spiritual advice from or just talk to Teodosii, the place was gradually transformed into a true community of monks. Soon afterwards, the future Patriarch Evtimii also joined the cloister and promptly became famous for his abilities in the first literary school in Bulgaria, established by the monks there. As Teodosii grew older, he gradually transferred his everyday tasks of running the monastery to Evtimii. Thus, after the sudden death of Teodossi in Tsarigrad (present-day Istanbul) during an oecumenical council, Evtimii became naturally father superior of the monastery.